DMV guy: I found your girl. The picture you gave me, the one of the girl I had it aged up in the system and marked as an FBI inquiry five weeks ago. DMV guy: Then Dolly goes in for hair plugs. She’s the only one in the Southwest Service Center with access, so I’m frozen out. Red: …The woman grading the written tests needs to shower. Red: … It’s a new vending machine. Yours is broken. Consider it a bonus. Everyone knows that good customer service is essential to selling anything and letting customers know they’re being heard, but how does this work where art is concerned? Is television art? Does social media count as a form of customer feedback? And how much influence should social media have over the content of a medium like television? Amazon reviews are perhaps the most familiar way of turning customer feedback into something tangible that impacts not only the decisions of other customers but potentially the future development of the product. Negative reviews in particular can help identify problems with products. This is free feedback and many companies are using it to improve their products and even launch new ones. In industry, this process has been dubbed “co-creation,” in which suggestions from consumers are woven at various points into the product development cycle. But Art (which I will capitalize; it’s a short word – otherwise you might miss it) – Art? This begs the question of what ‘Art’ is, what its “function” is and whether television even qualifies. Something tells me there will be more such “events” taking place in Boston and LA than in Wabasha MN. but, fortunately, that particular ship sailed long ago. [Very rough transcription from unpausable audio:] History is local. In any effort to capture the great broad sweep of history, about half of it is fiction. You probably learned that the 1920s was the Jazz Age – and it was, in parts of Manhattan and Chicago, – but not in most places. In the 1950s, for every Beat poet, there were 10,000 people who for the first time had access to higher education. You may learn that Elvis & Jack Kerouac personified the 50s or that the 60s were an age of protest – which they may have been, – but not for most people. My parents were the first in their families to go to college and they liked what they found. Elvis and Kerouac didn’t have much to say to them. They didn’t want to drop out. They had just arrived. What was more important? – the fact that early TV programming was formulaic and often based on the left-over talents of a decidedly low-brow form of entertainment known as Vaudeville? – or the availability to television to millions of household. Vaudeville was scarcely the point. We found out what “the point” was when JFK was assassinated and all America – and the world – clicked their sets on to one event and the Globe became a Village for the first time. We live in the age we live in. Separating Art from its social context has never been possible except in the imagination, which is where it belongs (and where Aristotle firmly placed it, by the way). Art always exists in its social, economic and historical context. We just tacitly decide to overlook that to take it in (“the willing suspension of disbelief”). Is the British Museum, funded by Great Britain to celebrate the British Empire (and housing many treasures taken from its colonies), really that different from Mercedes product placement in The Blacklist? Are we corrupted by that somehow, or should we simply try to sort that all out? Well, let’s try. John Bokenkamp, creator and producer of The Blacklist, recently responded to an online question about the “end-game” of The Blacklist this way “yes, but only if Sony and NBC let us.” This, of course, is troubling. Shouldn’t the artist’s (or artists’) vision be the most important factor? Clearly, the sponsoring corporations of The Blacklist have an interest in and deserve a legitimate say in the creative content of this – and any – show. Not only are industry guidelines at play (little obscenity and dialed back sexuality) for network TV (depending, of course, on the time of day), but the driver for profitability – ratings – is the sine quo non as to whether a show gets on the air and how long it stays there. For that, bread and circuses are the ticket, so all for the Glory of Rome. 4) to provide feedback on whether a show is working and delivering on its promises. 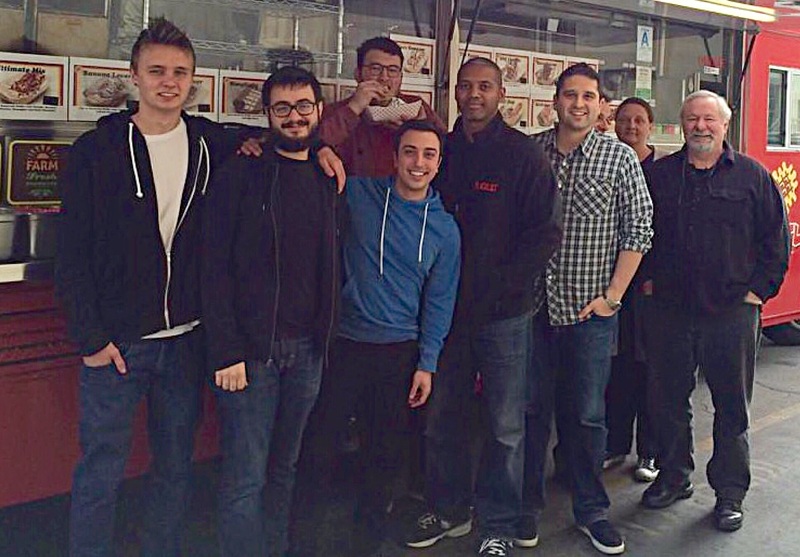 From the seven episodes of the first season to where we are now, [Twitter] allowed a core audience to begin their viewership rituals and adorations [sic] that led to a larger word-of-mouth experience that led to bigger viewership that led to staying on the air—and, in fact, thriving. So it’s been kind of a change that way, and really beautiful that way. You can connect with a passionate fan base that is literally much smaller than it needed to be for the economy to work in television years ago, and you can connect in kind of a direct way. It reminds me of a subscription audience in the theater, with talkbacks and getting to know the people who came to your shows month after month. It’s like a version of that in television now. It’s very sweet. In this case, Twitter and Instagram (and I assume Tumblr) have become very close to the “events that allow for intimate conversation with authors, poets and other speakers” that Mr James (citied earlier) was looking for – only in an online environment. This doesn’t sound exactly like what Scandal does, although Joe Carnahan (one of the directors) and others regularly provide informal snaps and gifs appear from upcoming shows. (Avoiding spoilers in fact is nearly impossible). But Megan is clearly referring not only to channeling “adoration” of the show, but to directly responding to content issues, for a degree of audience “co-creation.” For instance, despite EP Jon Bokenkamp having declared in the commentary tracks for Season 1 that Red truly is not Liz’s father and that Tom really is dead, Tom turned out to be definitely alive and the Daddy question was walked back a bit as well. Unfortunately, I’m not equipped to discuss Scandal with any authority, as the first season still sits on a shelf unopened. It seems I can only have a relationship with one TV show at a time… Just so you know. A recent example might be the effort in the last episode before its three-month “hiatus” from Nov 2014 to Feb 2015 to clear up issues regarding the timeline having to do with the age of Red’s enemy Berlin’s daughter. These timeline issues had her being a “political dissident” at the implausible age of about 12. (It’s still not a convincing timeline, but at least the issue was acknowledged and an explanation of sorts provided.) Such acknowledgement of issues and attempt to rectify them could be compared to a company’s reacting to complaints about a faulty part in a spate of Amazon reviews. “I sort of treat it as market research. ‘This is playing’, this character is resonating’, ‘this moment wasn’t so successful.’ I call (fans) the extra writer in the writers’ room. Not always the writer we listen to, but certainly a voice.’ says Guggenheim. If we look back at the high point of serialized fiction in the 19th Century, we see a certain problem with too much focus on cliff-hangers and surprises: they are very dependent on the idea that viewers are watching the show from episode-to-episode. But that is changing and part of the reason may be that viewers don’t like the wait. The Blacklist is the first show I’ve watched episode-to-episode since I was in college and I’m not planning to start with any new shows. If we look back to serialised Victorian novels, we might have a predictor of how the TV series could evolve. Sensation fiction, in particular, aimed to grip readers with ever more shocking partial revelations at the conclusion of each installment just like True Blood. When a story had finished its run in a newspaper or magazine, it was usually published in a novel edition that made alterations to the serialised version. Once a story was going to be consumed at the pace of the reader, who held the complete novel in her hands, the need for contrived cliffhangers at the end of every chapter was reduced. Some of these cliffhangers, which were essential in the serial versions, were removed in novel editions. We can only speculate on the future of television now that traditional methods of broadcast have shifted so dramatically. Yet it is likely that these changes in how we consume television will have some affect on the content we watch in the same way as shifting patterns of print publication altered the very nature of popular fiction in the 19th century. There are benefits to watching series in real-time, especially in the opportunity to discuss the shows “around the water-cooler,” including the social media water cooler. But if “the only thing that matters is trying to surprise yourself,” what is left after that one-time experience? Clearly, in the case of Dickens there was a lot left. Being surprised a second time is like trying to tickle yourself. In short, there has to be more to the story than a series of shocks. 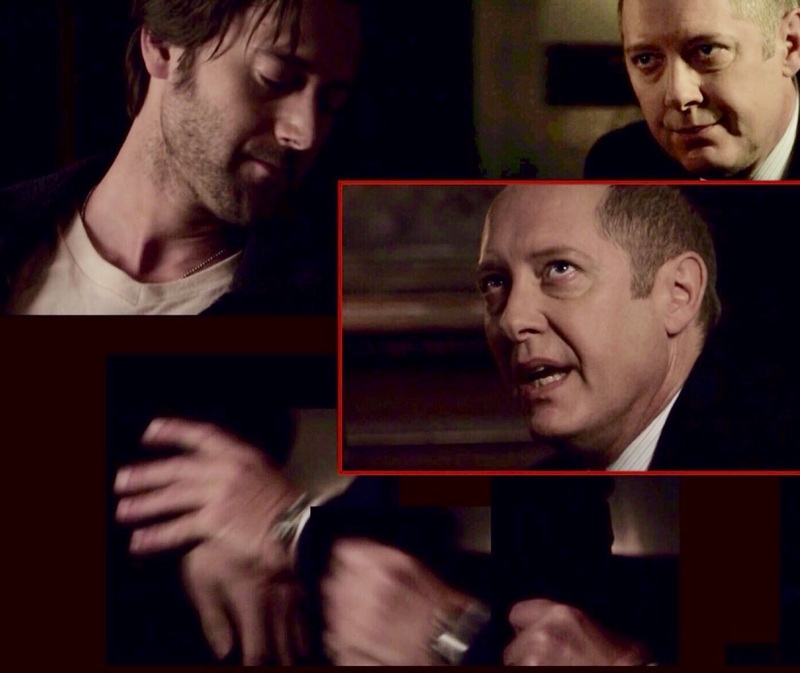 An example of a real shocker: In the last few seconds of the concluding scene of The Decembrist (2:8)’ the last show before the hiatus, Tom’s said to Red that during the period in which Liz had kept him locked up, he had not told her “about us.” Presumably Tom was referring to some relationship he and Red had of which Liz – and the viewers – were unaware. Chatter about what this relationship did indeed go on on the WSJ Speakeasy Blacklist blog until almost Christmas http://on.wsj.com/1uWqxju. What may be interesting was what much of this chatter was about. Though there was a lot of discussion about what this possible relationship between Tom and Red might be, another part of the discussion had to do with whether the showrunners knew what they were doing. Since this occurred on the same episode that gave us the patching together of the timeline regarding Berlin’s daughter, the question became whether this be another case in which the producers would not be able to deliver a believable resolution which could work with what had gone before, whether it was consistent with the character of Red, and whether Liz was going to continue to be portrayed as a “weak” female without “agency” (pun not intended!). Similarly, when you have people swearing that a long-term relationship between Red and Tom would make certain past dialogue tinny or previous plot developments implausible, it’s the show itself that’s being questioned – the context of the story-telling, not the content of the story. And this isn’t to say the show cannot deliver, but it better be darn convincing. Viewers who invest time and effort in getting to know a show well are like “super-users” in IT. For TV shows, this is a core group of people who discuss the show as a co-creator might. They worry about how well the plot is developing, whether the timeline works, if characters are coherent, whether inconsistencies are resolved in a believable way. These viewers speak in terms of canon, mythology, timeline and serial versus procedural elements. Is the Red character Odysseus, Prometheus, the Ancient Mariner, Marco Polo, Ivan Karamazov? Ultron? This may be a small number of viewers, but one study http://bit.ly/12bK02G has shown that (like IT super-users), they tend to have outsized influence, be thought-leaders and opinion-creators. These are not professional critics, who often can be snarky and seem to value their own cleverness over getting to know a show well. (Flame wars can even break out between these critics and fans of the show in the comment sections.) They are fans and when they make criticisms it’s because they are disappointed or concerned. Other industries have been developing ways to reach out to such people. Hopefully, media companies will consider doing the same. A showrunner’s duties often combine those traditionally assigned to the writer, executive producer and script editor. Unlike films, where directors are in creative control of a production, in episodic television, the showrunner outranks the director. The [early] serial forms of the 20th century, in particular the TV series, were for the most part simple, morally unambiguous, and open-ended.” [eg The Fugitive, Star Trek]. Eventually, the idea of doing more and better dawned on the creators of TV shows. Since sometime in the ’90s, the most ambitious of these men and women have been charting the path of characters, situations, and themes across multiple story arcs (episode, season, entire run) and employing what writer Steven Berlin Johnson concisely called ‘complex, multithreaded storytelling. Writing in the mid-naughts, Johnson was describing sophisticated and elaborate TV programs such as The Sopranos and Lost. These shows get serious attention in academia. Mad Men, for instance, inspired an excellent book of critical essays, and also a blog from the Unit for Criticism and Interpretive Theory at the University of Illinois at Urbana-Champaign. They’re among the popular entertainments that Johnson wrote about in his 2005 book, Everything Bad Is Good for You, which argued that the best TV series and video games don’t dull your mind but cultivate it. In a way, these shows are the new novels. Another development has been the organization of writers into teams, with some writers working on the overall mythology, timeline and canon (a set of guidelines for internal consistency), others (sometimes outside scriptwriters) working on individual episodes, and still others responsible for character development. Organizing this way makes it possible to employ the best talent, allowing writers to focus on where their strengths are. But it is more complicated and can create its own continuity problems. If the success of some of its products is a guide, it’s actually a more efficient division of creative labor. One person has an idea, guides the ship and worries about the big picture. Others fire off individual sections of the plot, or focus on dialogue or little touches of character. Of course, teams long have shown up in dramatic writing. Plenty of ghostwriters have saved Hollywood movies. Plenty of evidence shows that William Shakespeare had his writers’ room, too; it’s just that his friends didn’t get any credit in the First Folio. There is no question that novels will continue to offer accounts of the inner workings of the mind, that world we experience that is not apparent from our actions. Drama, in turn, is the presentation of action, always ambiguous (unless it’s Richard III or Frank Underwood explaining their actions to us). Drama better represents action than thought. “These are, people like to say, the golden days of television, which really means we are seeing a renaissance of serialized, long-form drama: “House of Cards,” “True Detective,” “Mad Men,” “Girls” and on and on. This form is hardly new — you can trace the origins of serialized drama back to at least the 17th century — but its renewed impact on creativity in general, and top-tier dramatic writing in particular, is only just beginning to be felt. “I even sense a new frustration among audiences with single movies or plays, which have to start their storytelling from scratch and that complete their narrative arc in one fell swoop, offering only an act of viewership that does not require the thrill of the binge. Single stories are starting to feel minor. These days, all the cool kids are penning, and watching, long-form serials. “The last time this happened — in 19th century England, after Charles Dickens figured out the lucrative pull of narrative serialization — the novel changed for good. Moreover, TV drama finds itself entering a new “golden age” right at the moment when science is discovering how central “mimesis” (roughly, “imitation”) is to human nature. Apparently, the use of mimicry and teaching by example greatly expanded beginning about 100,000 years ago. Some monkeys, birds and even fish can learn by example, but humans took this much farther. The emergence of “homo mimesis” (my term) has been associated with the emergence of language, culture-based learning, empathy and even self-consciousness. It is only a small step from demonstrating to another person how to perform an action to enacting a story of how a fearsome beast was slaughtered. Drama likely evolved as an early form of story-telling to members of a tribe or kinship group who were not present when it happened. In 2011, Deborah Jenson from Duke has used the term “biomimesis” to describe the confluence of neuroscience and the humanities, although she indicates the first use of the term dates back to the 1960s. Her paper, titled “Literary Biomimesis: Mirror Neurons and the Ontological Priority of Representation” http://bit.ly/1y6T9a6 is full of philosophical and neurological terms and concepts and may difficult to understand, but I recommend it, in part for her consideration of the implications of biomimesis for postmodernism, the prevailing philosophy of our day. In short, she believes the discovery of biomimesis may spell the end of the postmodern age and possibly the emergence of a new empirical age (separated from the Western “canon”) which is centered on the view of humans as mimetic creatures. Tragedy, then, is an imitation of an action that is serious, complete, and of a certain magnitude; … in the form of action, not of narrative; with incidents arousing pity and fear, wherewith to accomplish its [c]atharsis of such emotions. . .
To enter that world we suspend the real one, and through the experiences of the players, vicariously, translate feelings to understanding: re-cognize, internalize, and gain insight. There is a reason Hamlet called for a play to force the King to recognize what he had done, what he had become, through fratricide. Embroiled in passion, he had not realized (conceptualiized) it before. “‘A work of art presents feeling (…everything that can be felt) for our contemplation, making it visible or audible or in some way perceivable through a symbol, not inferable from a symptom. It is this process of transforming emotions into understanding that results in the classical experience of catharsis, or release of emotion accompanied by understanding or insight. In a drama, our concerns are caught up with those of the characters (we often have one or more favorites, similar to an avatar). The biological foundation of this appears to be through mirror cells, neurons in our brains that fire when we observe another person experiencing joy or pain. In tragedy, it is pain. According to AJ Ramachandran, we also also have sensory cells that let us know we are not in actual pain but our experience is none-the-less bound to the character’s through the firing of our mirror cells. This reaction is unmitigated by any cognitive translation; it is intrinsic and immediate http://bit.ly/1ITiK81. To the extent we feel “pity” and “fear” for a character with whom we are bound by our mirror neurons’ reaction, we experience “catharsis” a release of emotion (tears, anger, sorrow). Assuming both that Aristotle was right about tragedy and that the researchers are right about mirror neurons, it stands to reason that pulling too hard at the Aristotelian formula for drama/tragedy will result in pushback from the savvy enthusiasts I have called “super-viewers.” Blogs I know where these people participate include WSJ Speakeasy, Blacklist Support Group, IMDb, EntertainmentWeekly, and in the comment sections of various reviewers. Even some of the TUMBLR fan sites have good insights. I’m sure there are others. Viewers want to be worrying about whether the characters have it together, not whether the showrunners do. An unfortunate part of American TV has been the commercialization of this postponement, as compared, say, to a BBC miniseries. Worse, the irregularity of media companies’ commitment to the dramatic resolution means these endings often never deliver. James Spader described Comic Con as ‘three days of foreplay without a climax’ http://bit.ly/1yGZLwj. It’s a lot like that. I recommend David Auerbach’s The Cosmology of Serialized Television http://bit.ly/1FEDhkq in TheAmericanReader for his insightful discussion of this problem with US television, but be forewarned, he does not pull any punches. David Auerbach’s über-review of serialized dramas focuses especially on the difficulties of delivering satisfying shows in cases in which networks may either draw a series out beyond its natural life or cut it off short before it has had a chance to resolve character arcs, and, especially deliver on all the plot bread crumbs that have been dropped throughout the series. He finds only two instances in which the series’ ends delivered successfully on their promises – The Wire and Babylon 5 – each thanks to the insistence of an assertive creator/producer: David Simon and J. Michael Straczynski. Auerbach performs autopsies on many that he feels ended poorly. Auerbach also hints that historical dramas have an advantage in that history provides its own arc, against which the arc of the story can be plotted. 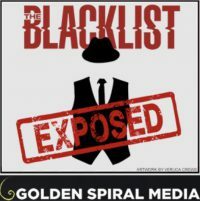 The Blacklist has the most ambitious agenda imaginable, taking on politics, science, economics and international intrigue in real time, (meaning it has neither the structure of historical context or the freedom of pure fiction). Doing this at a time of great confusion and little national dialogue on these topics in the press at least gives the show the advantage of being able to investigate various themes without taking political sides (because the political sides have not yet fully developed). Climate may be the exception. The Republicans are even acknowledging wage stagnation and inequality. How did that happen? This offers a rare opportunity for The Blacklist. I have not shied away from saying I’d like to see the show take on international issues like Boston Legal wrestled with national issues. Boston Legal was prescient in its addressing issues like homosexuality, government spying, torture, end-of-life care and other issues which in the mid-aughts were also amorphous and overlooked http://bit.ly/1yHXgtM. The lack of clarity now over human rights, state capitalism, freedom of speech, the relationship between church and state, torture (still), government spying (still), oil prices, trade deals, net neutrality, euthanasia and the use of genomic data and other questions relating to medicine (just a few that just pop into my head) are just begging for exploration. If you’re going to wrestle with an angel, might as well make it Lucifer. The best way to get a sense of overall response to the show probably remains ratings and polling, rather than the number of tweets or likes, etc, though the degree to which people are engaged relative to other shows can be instructive. In industry, social media is being used to supplement focus groups. What it may do best is to point out apparent inconsistencies or errors (especially regarding contextual matters) the writers may have missed. The third way, by influencing the plot or character development (such as who “ships”, eg Lizzington shippers http://bit.ly/1Bc98mY) can be tricky. The writers and showrunners may be interested in what viewers want, but they should be careful in how they interpret these preferences and more careful in how/if they accommodate them. The greatest danger may come from network and advertising execs pressuring the writers to “give the customers what they want.” Such pressure could have led, in Athenian times, to baby Oedipus having been switched at birth so he can marry Jocasta and live happily ever after. Fandom: Oedicasters? Jocastapusers? Mostly, though, there is a great opportunity to review the concerns of super-viewers, not so much on plot and character preferences (often this group fails to even declare what theirs are – that’s not their focus), but on matters dealing with the artistic coherence of the story. With our understanding of the biological foundations of the Arts increasing every day day (eg http://bit.ly/181Bgja), the responses of these engaged viewers to plot and character development, and the success of individual episodes in fleshing out relevant issues can be invaluable. Savvy viewers have an innate sense of what is working artistically. This is as much a biological phenomenon as a cultural one. ‘We may not know what a successful plot line might be, but we certainly know what an unsuccessful one is,’ to paraphrase Red Reddington (1:16). Too many cliff-hangers, artificially extended teases, unresolved dialectics – iow, too much “Dramatus Interruptus” – can leave fans wanting and frustrated. The writers should also move beyond surprise to catharsis, and from spectacle to principled or existential conflicts. #FAILure to deliver meaningful catharsis to viewers on a regular basis can potentially result in people abandoning the live feed for the DVR, or altogether. 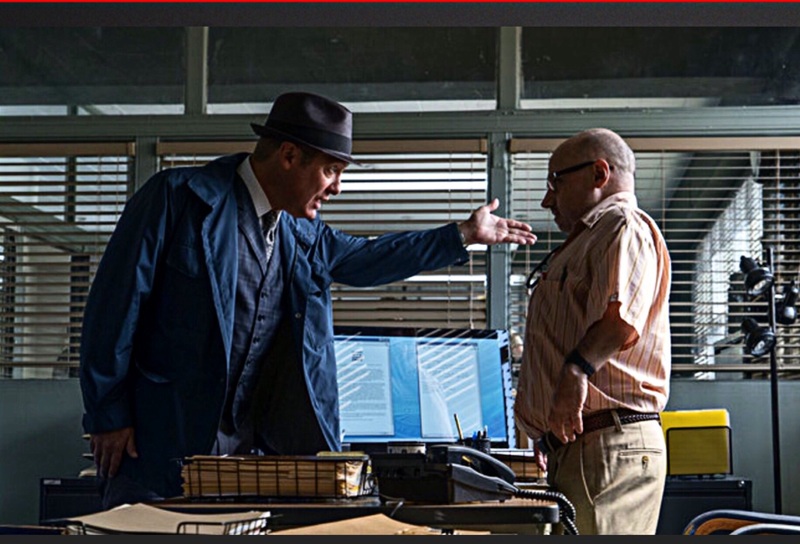 Finally, the producers and writers should not underestimate the degree to which people watch the show solely to watch James Spader. I don’t know how many times I’ve read that. Bedtime. *” ➔ That’s all we ask.